MacKenzie is a married woman. She tied the knot with the founder of the Amazon.com, Jeff Bezos. The duo first met in at the New York City hedge fund company, DE Shaw. Soon after meeting, the couple got married in 1993. As they tied their knot, the married pair has been helping each other in each and every step of their life. Together, the couple has also welcomed four children. Furthermore, they have three sons(one of their son’s name is Preston Bezos) and adopted a Chinese daughter who is the youngest child. MacKenzie has never been in an extramarital affair and never seen with any other men in the public and media. But the news is that MacKenzie and her billionaire husband have announced that they are going to divorce after 25 years of relationship. Also, the sources say that they will remain friends after separation. 1 Who is MacKenzie Bezos? 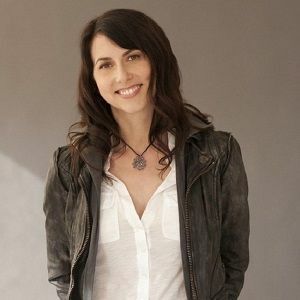 MacKenzie Bezos is an American novelist. Furthermore, she became famous for being the wife of the founder of Amazon, Jeff Bezos. Besides this, she has also won the 2006 American Book Award for her novel ‘The Testing of Luther Albright’. Moreover, she is also an executive director of an anti-bullying organization, Bystander Revolution. The organization was founded in 2014 by MacKenzie. 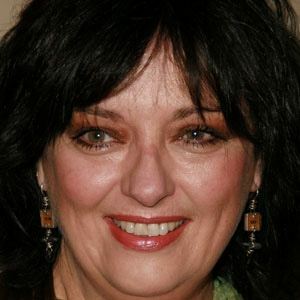 MacKenzie was born on April 7, 1970, in San Francisco, California, United States. She is the daughter of a financial planner father, Ted Jorgensen and housewife mother, Jacqueline Gise. There is no information on her siblings. Talking about her education, MacKenzie attended Hotchkiss School in Connecticut in 1988. 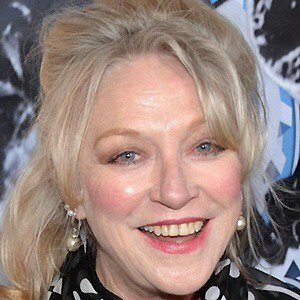 Later, she completed her graduation in English at Princeton University with highest honors in 1992. MacKenzie began her career as a research assistant to Tony Morrison at her college. She published her first book ‘The Testing of Luther Albright’ took ten years to complete. With her own career, she was also assisting her husband to set up Amazon.com. As her first book earned a huge recognition, MacKenzie launched her second book named ‘Traps’ In addition, she has also written a review on the book ‘The Everything Store: Jeff Bezos and the Age of Amazon’. Back in 2014, she founded an anti-bullying organization, ‘Bystander Revolution’. On the website of the organization, there are many videos of students, celebrities, and experts talking about how to deal with bullying. Moreover, her novel ‘The Testing of Luther Albright’ was also named ‘Los Angeles Times’ book of the year. Being a famous novelist, activist, and wife of Jeff Bezos, she earns a staggering amount of money from her profession. Furthermore, they are also one of the richest couples. Currently, Jeff has the net worth of $98.6 billion. As of now, MacKenzie has won the 2006 ‘American Book Award’ for ‘Outstanding Literary Achievement’ for her novel ‘The Testing of Luther Albright’. So far, there are not any drastic rumors regarding her personal and professional life. Moreover, she has never faced any controversy in her career to date. Moving towards her body measurements, MacKenzie has a beautiful pair of light brown eyes and black hair. However, her height, weight, and other body measurements are unknown. MacKenzie is not active on any of the social accounts at all. As of now, she doesn’t hold any social accounts such as Facebook, Twitter, and Instagram. Also know more about the early life, career, net worth, relationships, and controversies of other novelists like William Monahan, Tom Bradby, and Richard Beymer. It’s time you know more about MacKenzie Bezos. She is not only Jeff Bezos’ wife but a novelist, an activist and a perfect mother! Amazon founder Jeff Bezos and his wife are set to divorce! Who is his new love?